Actor Arulnithi was last seen in the 2018 thriller Iravukku Aayiram Kangal directed by Mu. Maran. He will be next seen in the upcoming psychological triller K13 alongside Shraddha Srinath and directed by Barath Neelakantan. Meanwhile, here is an update on the actor's next. 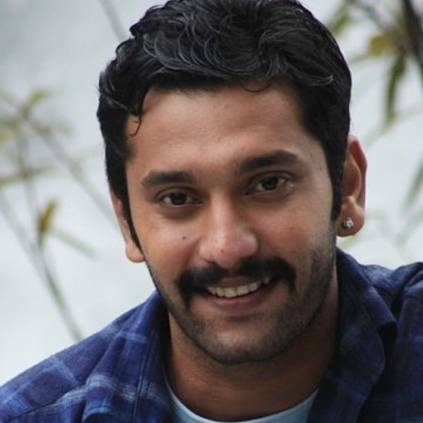 Arulnithi will be seen in national award-winning filmmaker Seenu Ramasamy's next directorial venture. The film will be produced by Sundar A under the banner Timeline cinemas and the music will be composed by Yuvan Shankar Raja. As for the technical details, the film will be edited by national award-winning editor Sreekar Prasad. Additional details of the cast and crew are expected to be announced soon. Seenu Ramasamy's last directed film was the Udhayanidhi Stalin-Tamannaah starrer Kanne Kalaimaane and is currently helming Maamanithan that stars Vijay Sethupathi and Gayathrie in the lead roles. Stay tuned for more updates on the film. People looking for online information on Arulnidhi, Seenu ramasamy, Yuvan Shankar Raja will find this news story useful.